last week i was searching for somewhere new-to-me to eat, and i remembered hearing good things about hae kum gang. with this location pretty close to where i stay, it seemed like a good option. and when i saw sushi on the menu, i was sold. 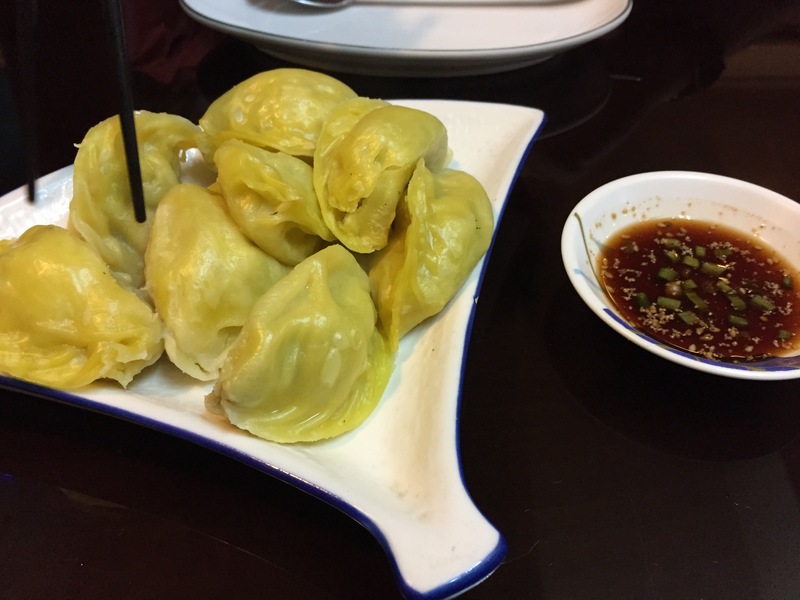 pork dumplings with sauce. bangalore, india. june 2015.
i don’t eat sushi that often, but once i start thinking about it, i can’t stop until my craving is satisfied. and because there are not that many places in bangalore where sushi is available – especially at affordable prices – it is sometimes difficult to find it. but luckily there is hae kum gang, where the prices are pretty reasonable and the taste is still quite good. since there were two of us we decided to split the set roll so that we could try out five different kinds of sushi, and we also opted for some steamed pork dumplings. forgetting that it is a korean restaurant and that we would get all the various small plates that go along with that, the dumplings ended up being a little more than we could finish, but everything we had was pretty good. split roll main course. bangalore, india. 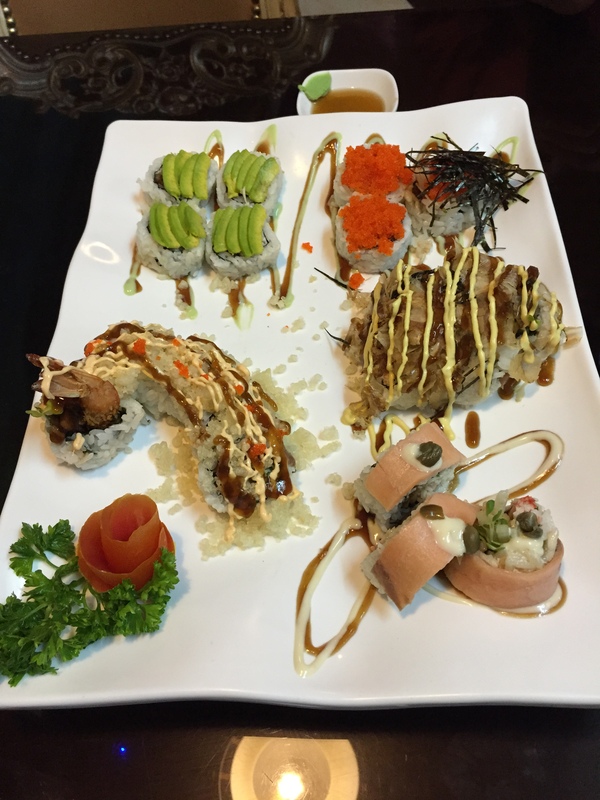 june 2015.
i liked all of the sushi except the tuna roll, but that is because i don’t like tuna. the avocado roll and shrimp roll were really good, but my favourite was hands-down the salmon roll. and of all the small plates, my favourites were the kimchi [i’m a little obsessed] and the potatoes. he was really proud because he finally learned how to use chopsticks. bangalore, india. june 2015.
overall it was a pretty good meal, and the rest of the menu looked really interesting. 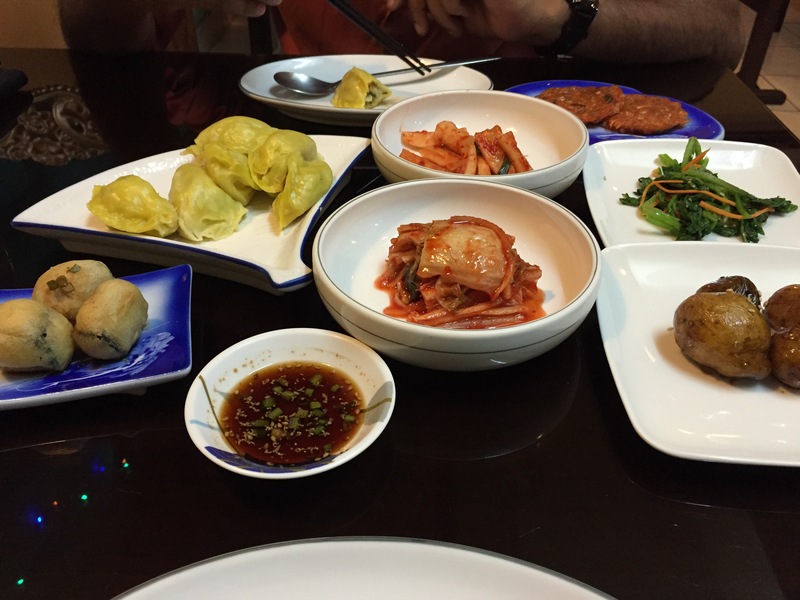 i will definitely return to try out some of the korean dishes, because they sounded pretty appetizing. location: 20, paul castle. castle street, ashok nagar. near brigade road. serves drinks: only wine and wine cocktails. wifi available? i don’t think so. what we ordered: steamed pork dumplings [starter]; split roll [main course]. 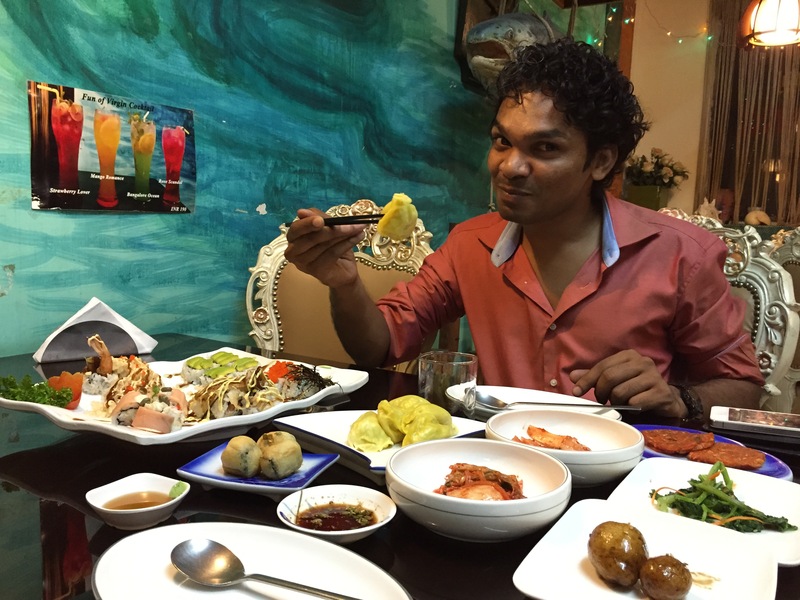 our bill: came to a total of rs 1,100 split two ways. not too bad for a monday evening. to keep in mind: they close at 10.30pm on weeknights, but the staff were pretty nice about us staying around until about 10.45.
have you ever been to hae kum gang, or any of the other korean restaurants in bangalore? i am always looking for new places to try! Ahhhh yes, the great sushi craving.. I’ve been there before!! This place looks great! I would definitely have gone there back in my Bangalore days! !